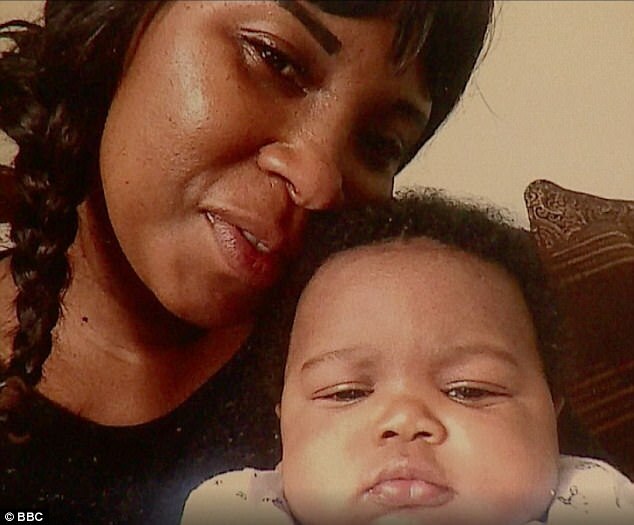 A mother whose baby son died from rickets has spoken of her shock after leaning of his diagnosis. 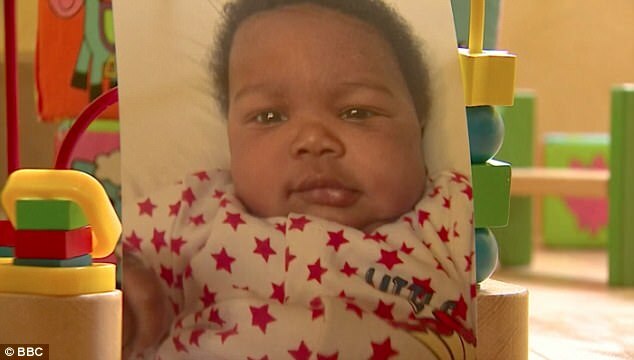 Beverley Thahane, who lives in Telford but is believed to have been born in South Africa, described how son Noah had been suffering seizures that baffled doctors. It was only just before Noah’s death in January 2017 that he was diagnosed with severe vitamin D deficiency, by which point it was too late. Speaking to the BBC about her son’s death, Ms Thahane said: ‘He started changing colour again and I knew he was going to have another seizure but unfortunately it ended up being a heart attack. Rickets is a bone disease which can be caused by vitamin D deficiency and leads to deformed bones, stunted growth and general ill health. In severe cases it can also affect the heart and brain, proving fatal. The disease can also be caused by a lack of calcium and severe malnutrition in the first stages of childhood. While common in Victorian times it was largely eradicated during the 1950s but has made a comeback in recent years. Cases have more than doubled in the last decade, with 450 children now diagnosed with the disease every year. Afro-Carribbean and Asian communities are particularly vulnerable because their skin absorbs less sunlight, hampering the body’s ability to produce vitamin D.
Ms Thahane added: ‘As people of colour we do know that in a country like this, with weather like this, there is not a lot of sunshine. Doctors have been calling for pregnant women and newborn babies to be provided with vitamin D supplements on the NHS, and often advise expectant mothers to consider buying tablets themselves. The vitamin is naturally produced by the skin after absorbing sunlight, but can also be found in foods such as sardines, mackerel, red meat, liver and eggs. While the disease is becoming more common in the UK, it is still incredibly rare to die from the illness. 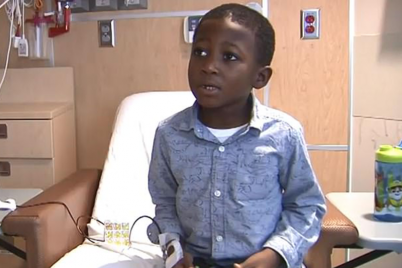 The only recent case, in 2014, came about because the boy’s Zimbabwean parents put him on a strict vegan diet, leading him to develop the condition. They were both subsequently jailed after admitting manslaughter.